KATHMANDU, March 25: Police have arrested the Koshi bureau coordinator of the Netra Bikram Chand-led Communist Party of Nepal Ghanshyam Shrestha aka Pushkar. Shrestha was arrested and immediately taken to police custody on Sunday, according to police sources. Shrestha is also the former chairman of Radio Mirmire. He was also the bureau member of the then United CPN (Maoist) led by Pushpa Kamal Dahal. Earlier on Friday, a team of police deployed from the Metropolitan Police Crime Division arrested Hemanata Prakash Oli, a key leader of the Chand-led CPN, and four commanders of the party. The government has stepped up measures to contain the activities of the outlawed CPN—a Maoist splinter group involved lately in various illegal activities including extortion and bombings in various parts of the country. Nepal Police, the Armed Police Force and the National Investigation Department are working in coordination to arrest cadres of the Maoist splinter group. They are also out to seize the weapons the group is believed to have possessed since the time of the Maoist armed insurgency, senior police officials said. 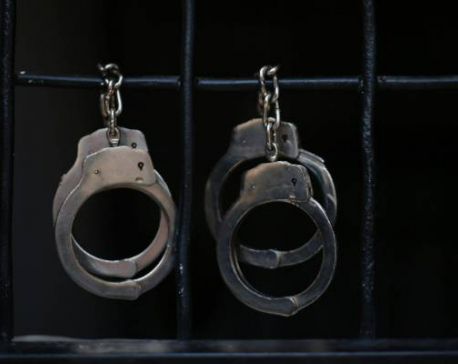 Since the government decided on March 12 to ban all activities of the Chanda group and treat the group as a criminal outfit, police have arrested at least 21 of its central and district-level leaders including those arrested on Tuesday. The government move came amid intelligence reports that the group was planning to start an insurgency, bringing together former Maoist combatants and disgruntled elements. Last Tuesday, the MPCD in Kathmandu arrested four district level leaders of the group in connection with the explosions in the Valley. One person was killed and two others injured when the group detonated a powerful bomb near the NCell office. They were also behind explosions in other parts of the Valley, including at the residence of Nepal Association of Foreign Employment Agencies (NAFE) Chairman Rohan Gurung. A team from MPCD Kathmandu arrested two commanders of the group – Shiva Dhimal, 33, of Jhapa and Bishal Tamang, 33, of Sindhupalchowk – from the Kaphaldanda area of Roshi Rural Municipality, Kavre district. The MPCD team had reached Kavre following a tip-off that senior leaders of the outlawed group including Hemanta Prakash Oli were in hiding in that area. Although police managed to arrest two of the cadres, sources said the senior leaders at the scene managed to flee.